A true cinematic tour de force with career-best performances and plotting that can be only called astonishing. While this non-violent act of protest against the powers-that-be makes news and gets her the attention and affection of the “town midget” (Peter Dinklage), it draws Mildred the ridicule of her son (Lucas Hedges), ex-husband (John Hawks) and starts a war against the local police including racist officer Dixon (Sam Rockwell) and the subject of her billboards – cancer stricken Police Chief Willoughby (Woody Harrelson). What began as an elaborate plea to get authorities off their rears and do their job quickly escalates into a violent showdown like a chess game with people’s lives and livelihoods. Three Billboards Outside Ebbing, Missouri is, quite simply, a work of art. This $15M indie film, written and directed by Martin McDonaugh (best known for In Bruges and Seven Psychopaths), is one of the favorites this awards season as it’s already both AFI’s Movie of the Year and Best Drama from the Golden Globes. So far, it’s received (through awards shows and film festivals) a grand total of 152 award nominations! With that in mind, what’s so great about this long-titled flick? For starters, the acting. Everyone here is on point. Beyond on point! Frances McDormand gives the best performance of her career, blowing even her Oscar-winning Fargo performance out of the water. She’s badass and visceral and portrays more emotion with a look than many actors can give during an entire film. Sam Rockwell proves he’s one of the most talented, yet under considered actors working today. Woody Harrelson gives a moving performance, and even Caleb Landry Jones is memorable as the young advertising agent who rents Mildred the billboards and letter gets the crap beat out of him by Officer Dixon. 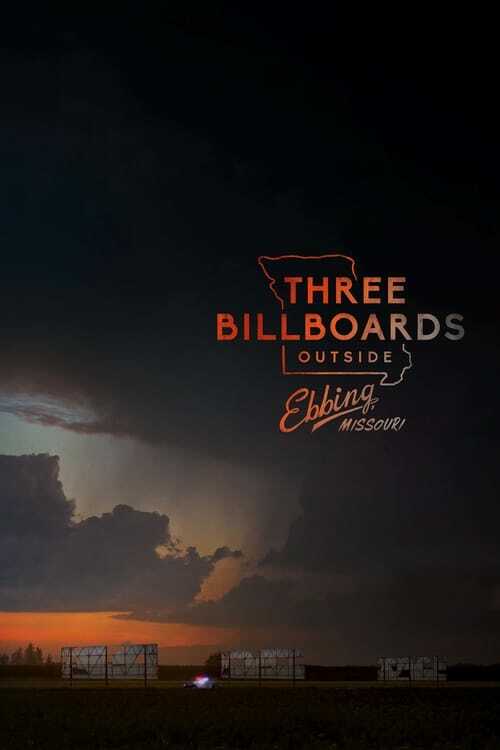 The story of Three Billboards Outside Ebbing, Missouri is original. We’ve seen movies about people going out for justice about a murdered loved one before. It would have been very easy or this film to have become formulaic and follow the trend other films with the same topic have created. Instead, it forges its own trail, looking not at the case itself or even the revenge itself, but the people involved trying to live their lives the best they can while being affected by not just the case in question but the rest of life’s hazards along the way. The conflict builds and escalates… then pulls back again. Like a living thing, this film inhales and exhales as its conflict goes through greater and greater peaks and valleys. This is something that’s often showcased in seminars about storytelling, but frankly is seldom utilized to its full capability in other films. The delicate back-and-forth between the conflict’s continuous rise and fall throughout the 115-minute runtime makes this a masterful piece of art. And each event has layers between the physical conflict and the emotional ones. Which brings us to the characters having the emotional conflicts. Every character, even those who seem insignificant, go through their own arch. Every person in this movie is somehow intricately involved in the main story, each living their own story. From the obvious like Mildred dealing not just with the police but also her ex-husband’s treatment of her, and Dixon’s involvement in the case while being egged on by his sinister mother (played by Sandy Martin)… to even one of the guys putting up the billboard (Darrell Britt-Gibson) hinting at his past relationship with the police to being heroic in saving the billboards’ integrity to finding possible love from Mildred’s friend (Amanda Warren) despite having less than 3 minutes of total screen time. There are four basic themes present, made up of 2 sets of thematic dichotomies. Set 1: A) revenge, B) forgiveness. Set 2: C) grieving, D) moving on. These four themes are weaved beautifully throughout the film, and every character has a strong arc that deals with at least one of these 4 (and in the case of the 3 leads – Mildred, Dixon, Willoughby, all 4 themes are met by their arcs). Often, writers struggle to fit even one major theme in and seldom have more than just their lead role experience it… so the fact that these 4 ideas are all given importance and that everyone who appears on screen has a track that follows them isn’t just impressive, it’s astonishing. My prediction is that Three Billboards Outside Ebbing, Missouri is a prime contender for the Best Picture Oscar, if not the grand prize itself; seldom does a movie this powerful come along. It’s a true cinematic tour de force that must be witnessed and reflected upon to truly grasp the brilliance of what’s been accomplished here. Watch this movie. It deserves far better box-office numbers than it’s getting.